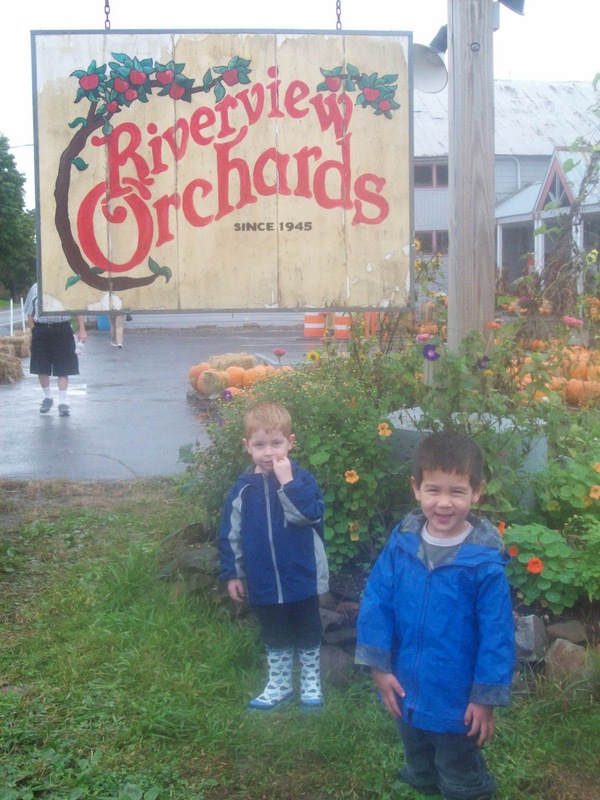 Wednesday, John and his preschool class took a field trip to the apple orchard. John tagged along last year when Sam's class went to the orchard, but this time John was supposed to be there. Over the past few years, I've gotten into the habit of John always tagging along whenever Sam went somewhere. In my mind, he's always been the baby equivalent of a groupie, so it's a bit of a shock to my system to realize he's no longer a hanger-on. 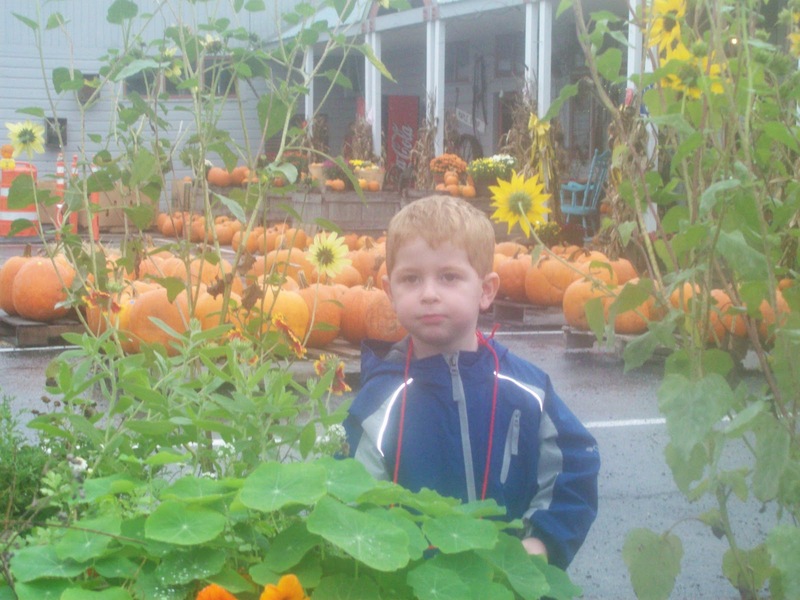 He's a big boy now, with his own school, and his own field trips. The weather on Wednesday was complete and total crap. Apparently, Mother Nature hasn't yet received the memo that Upstate New York has had quite enough rain for the time being, thank you very much. Luckily, John didn't seem to mind the rain and mud. He got to wear his beloved raincoat (whose reflective strips glow in photographs) and his new whale rain boots. 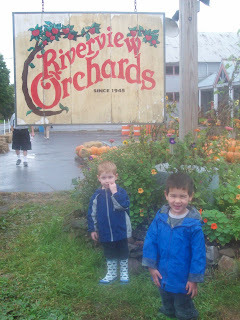 Even though it poured on us, he really enjoyed tromping around the orchard picking apples. 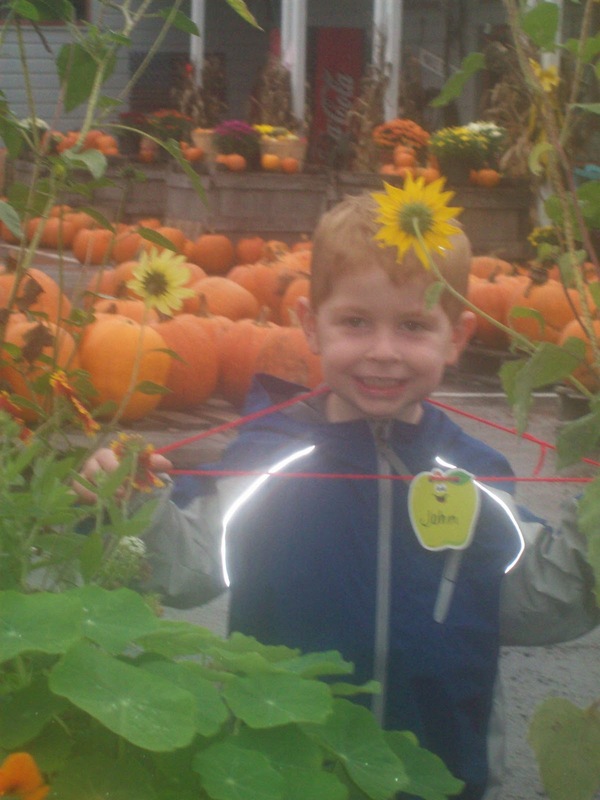 We also got to see honey bees making honey, play with farm animals, eat apple cider and apple cider doughnuts, go on a hay ride, and pick out a pumpkin. While I was in the farm store, I picked up even more doughnuts, and a big jug of NY Maple syrup. We've converted to the real stuff and will never go back to store bought syrup ever again. I love living close enough to the land that I can buy things like this most anywhere I go. 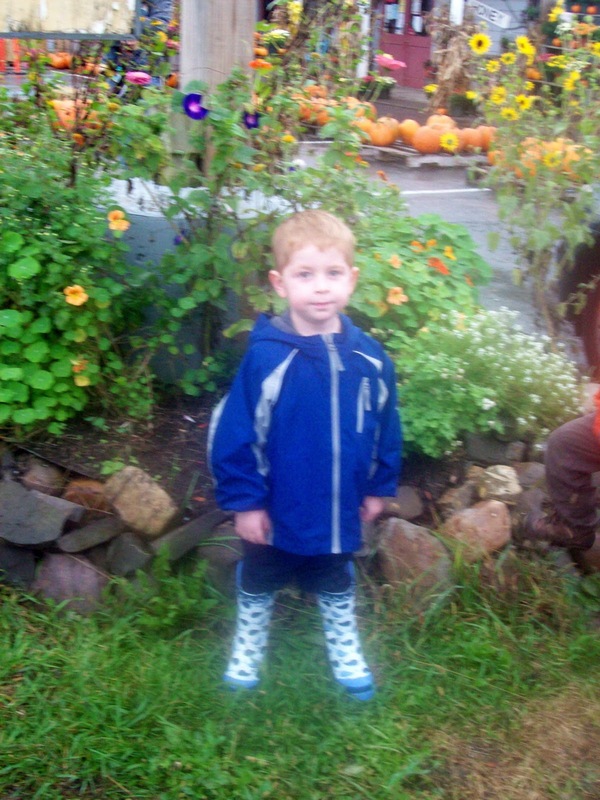 Here's John and his good buddy, Zachary. They both had a great first field trip!